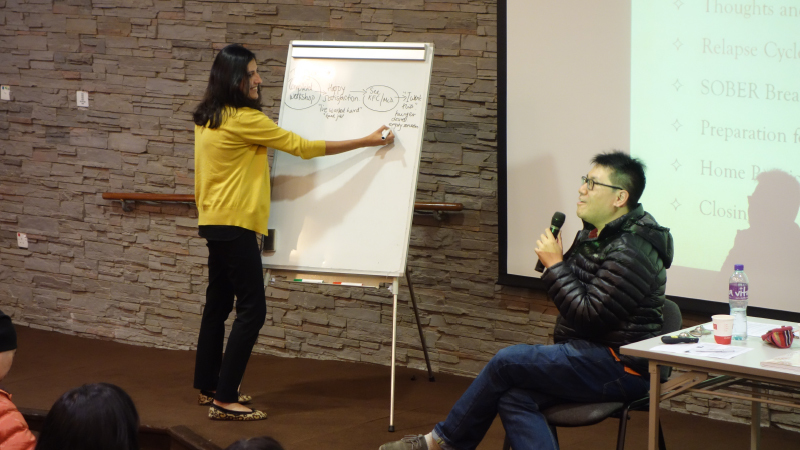 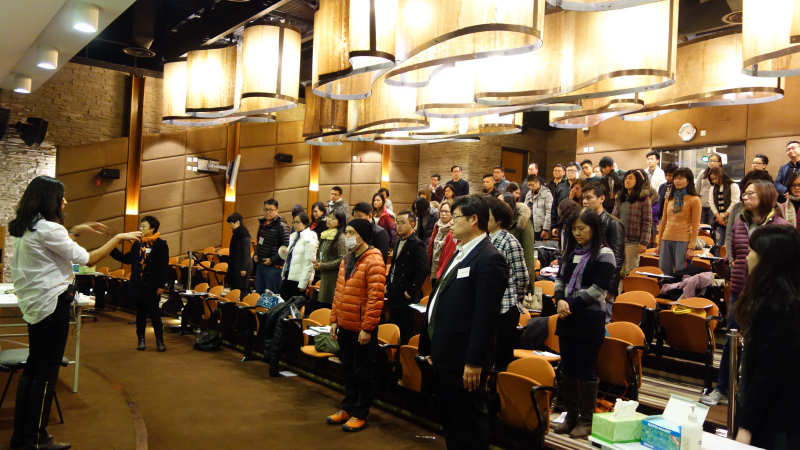 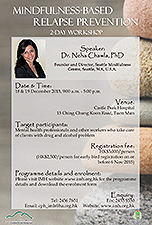 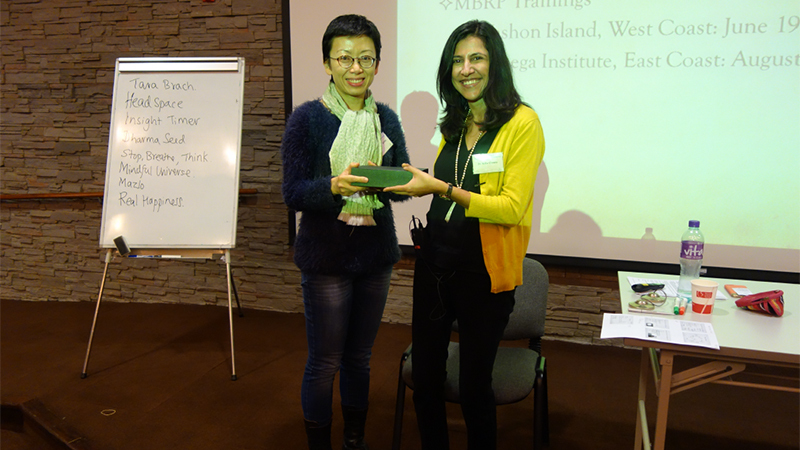 The Mindfulness-Based Relapse Prevention (MBRP) for Addictive Behaviours 2-Day Workshop organised by the Institute of Mental Health of Castle Peak Hospital was successfully held on 18 and 19 December 2015, with around 70 healthcare professionals and workers participated. 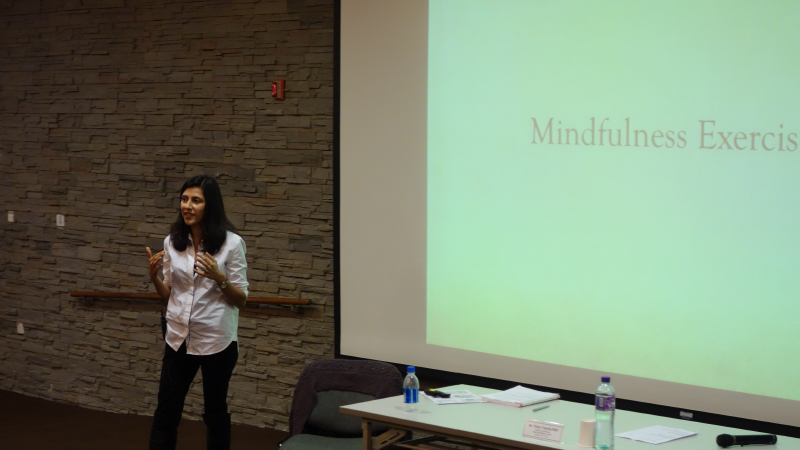 It was our honour and pleasure to invite Dr. Neha CHAWLA, a licensed clinical psychologist of Washington State and co-creator of MBRP, to conduct this 2-day workshop to introduce the concepts and various components of MBRP. 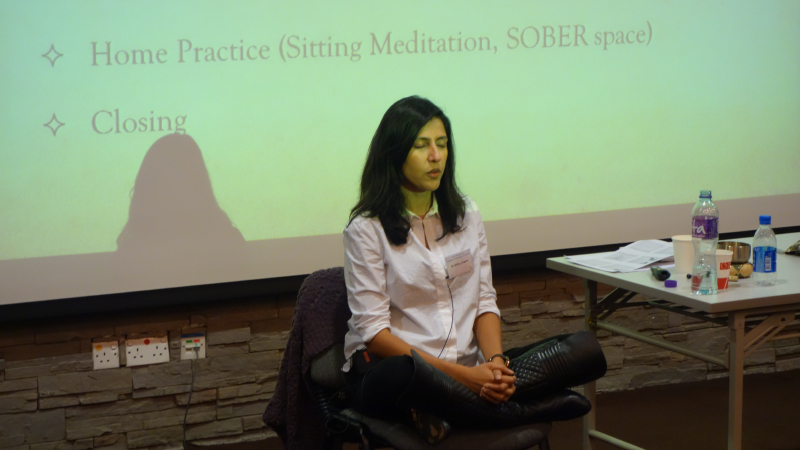 The workshop enhanced participants’ knowledge in providing aftercare services for patients who suffered from addictive behaviours, thereby helping patients maintain treatment gains and develop lifestyles that supported their well-being and recovery.